Patrick Garda is Vice-Director of the ICT, mathematics, physics, and nanotechnologies department at the French Ministry of National Education, Higher Education and Research, that he joined in 2012. Besides, he has been Professor in Electronics at the Pierre & Marie University, Paris, France, since 1995, where he is currently member of the Computer Science and Engineering LIP6 Laboratory. 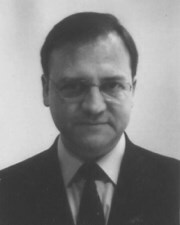 Previously, he was CNRS Research Scientist in the IEF Laboratory, Orsay, France, from 1985 to 1995. Between 1976 and 1985, he was with the ENS of Cachan, France, at first as student, then as Teaching Assistant. He received the B.S. in Mathematics, M.Sc. in Computer Science and Ph.D. in Electrical Engineering degrees from Paris 11 University, Orsay, France, in 1978, 1980 and 1984 respectively.